Before heading in a more entrepreneurial direction, I had the privilege of working as an actor with some of America's and Europe's foremost theater, film and television directors. 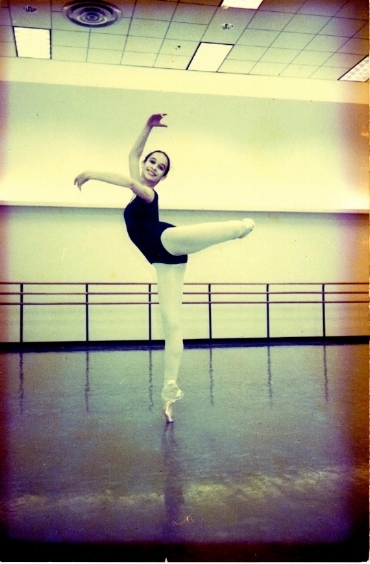 My performance chops developed early, as I grew up dancing with the Joffrey Ballet as a professional child, at Lincoln Center for Jacques D'Amboise , and training at the Joffrey Ballet School and Balanchine's The School of American Ballet. After appearing as Michael Peña's sister, Karen, in Oliver Stone's "World Trade Center," I was invited to host an awards ceremony at UCLA film school. There, I met a young producer (and future director), named Balazs Juszt. He told me he was producing a film in his native Hungary and they were looking for a lead. He took my picture on his phone and texted it to the director, who was on holiday with his family in Turkey. Lucia Brawley as Karen Jimeno in Oliver Stone's "World Trade Center" for Paramount Pictures. With Maggie Gyllenhaal, Peter McRobbie and Dara Coleman in "World Trade Center". Two days later, I was reading for that director, Gabor Herendi, in a Los Angeles office. Two weeks after that, I was on a plane to Hungary to play the title character in the film "Lora," about a star-crossed lover who goes blind. I had three days to learn Hungarian, learn how get around Budapest blindfolded and to perform a sommelier's ceremony blind. I found my face plastered on magazine covers and billboards around Hungary. An experience I never could have imagined! After I starred in "Lora," director Gabor Herendi wrote a role for me in his next film, "Kind of America 2." Lucia Brawley in "Valami Amerika 2"
As a child, I trained at the Joffrey Ballet School and the School of American ballet; performed in "Taming of the Shrew," "Petrouchka," and "The Nutcracker" with the Joffrey Ballet, and originated the role of Olivia in Jacques D'Amboise's "Sea Mother's Son" at Lincoln Center.